is a multi-media collaborative installation created by Laurie Dietrich (photographer, ritualist), Amber Ortega-Perez (movement artist) and Doerte Weber (structural weaver), with Erik Bosse (filmmaker, creative collaborator). 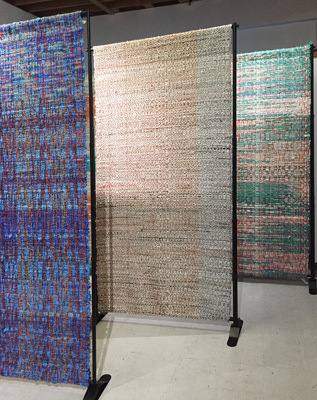 The piece uses panels woven by Weber for her installation, Checkpoint Carlos, created to protest the border wall between the United States and Mexico. 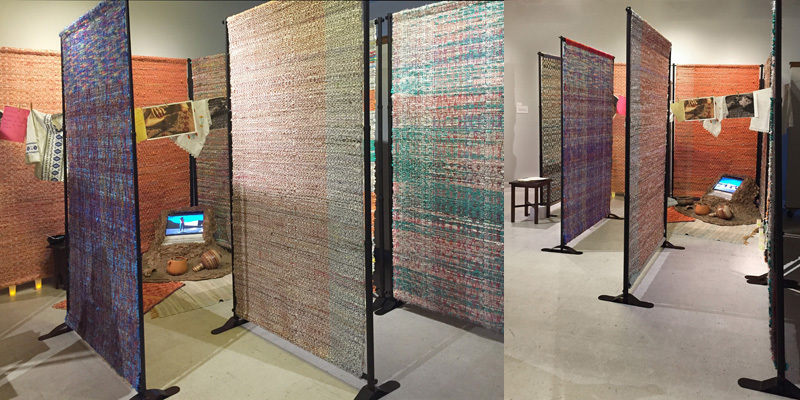 The panels, woven from plastic newspaper bags collected by friends and strangers and donated to Weber for the project, were placed perpendicular to the wall in Brownsville in 2015, symbolically opening passageways between the two countries. For this installation, we use the panels to create a space to honor the women whose names are lost to history. 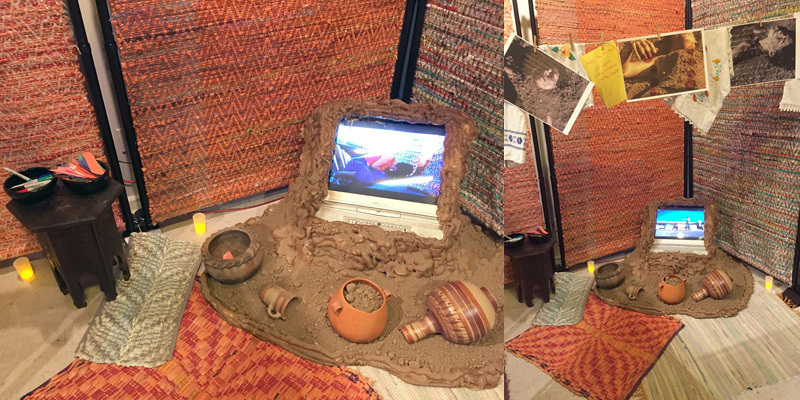 Within it we have placed artifacts of our individual and collective response to the anniversary of the signing of the Treaty of Guadalupe Hidalgo, including Bosse's film of Ortega-Perez' choreographic exploration of women's relationship to the Earth as well as to walls and borders, and Dietrich's photographs inspired by the filming process. 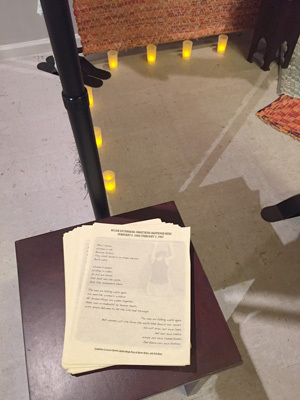 We invite you to add to the installation, placing the names of the women in your life, and who gave you life, into this space of remembering and honoring. Men's names legitimize treaties, move borders, and are written down in history books. 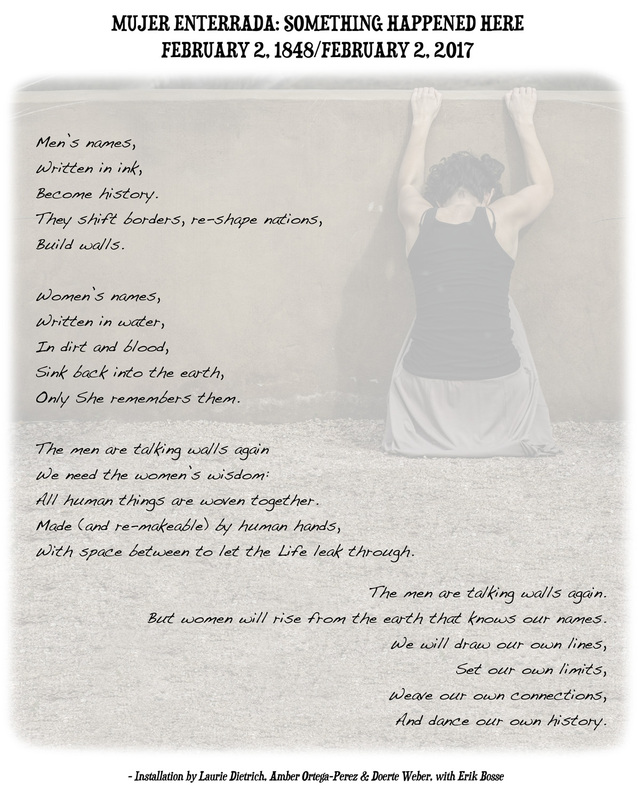 But the Earth remembers the names of the women.